Late one night, a plane lands on a deserted airstrip. Five dead bodies are found there the next morning. And now Vinnie LeBlanc is missing. Vinnie is an Ojibwa tribal member, a blackjack dealer at the Bay Mills Casino, and he just might be Alex McKnight’s best friend. He’s come through for Alex more than once in the past, and he never ever misses a day of work. So Alex can’t help but be worried. 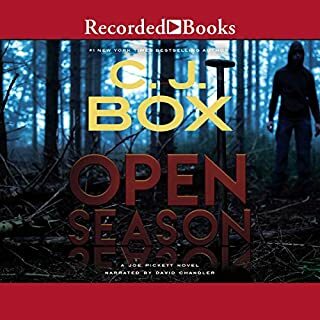 There’s a deadly crime war creeping into Michigan’s Upper Peninsula, leaving bodies in its wake, and Alex wouldn’t think for a minute that his friend could be involved. But when an unexpected and unwelcome stranger arrives in town, Alex will soon find out that the stakes are higher than he ever could have imagined. 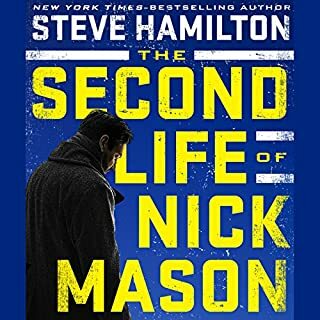 Two-time Edgar Award winner and New York Times bestselling author Steve Hamilton returns with this outstanding new novel - perhaps his boldest book yet. 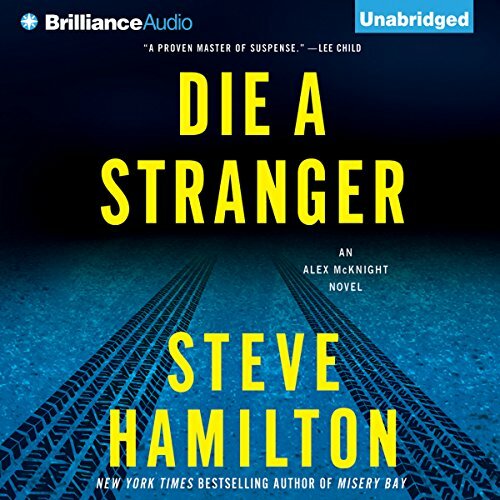 ©2012 Steve Hamilton (P)2012 Brilliance Audio, Inc.
Would you consider the audio edition of Die a Stranger to be better than the print version? 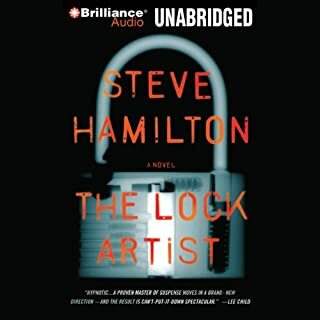 Would you be willing to try another book from Steve Hamilton? Why or why not? Miller is the perfect voice for Alex. Story not one of the best in the series but narrator keeps it alive. Maybe time to to give Alex a hiatus again and try some stand alone's. Lock Artist and Nightwork were great as well. Either way, keep them coming Mr. Hamilton. No. 9 in the Steve McKnight series. This is the ninth in the Alex McKnight series. 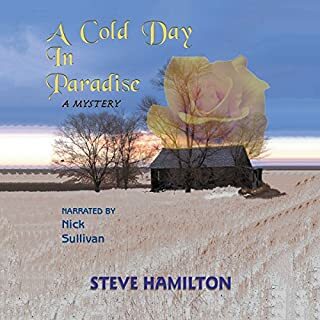 Alex, a former cop, with a private eye license and a number of cabins in a fishing camp in the Upper Peninsula of Michigan, hears about a private plane landing at a nearby small airport, and the next morning five bodies are found. Everyone figures it’s the latest in the drug wars where planes come in from Canada loaded with marijuanaand it is sold in the lower 48 states for great profit. The war has risen to new levels when one gang highjacks the plane of another gang and takes over their drug racket. Alex becomes involved because his best friend, Vinnie LeBlanc,an Ojibwa Indian and a blackjack dealer at the casino, turns up missing. He has never missed a day of work but he’s gone. As time goes on, Alex learns that Vinnie’s cousin, Buck got himself involved with these drug gangsters and when the shooting started he panicked and called Vinnie to come and get him. Buck and Vinnie were captured. Then Vinnie’s father, imprisoned for the last 30 years, shows up because he’s heard that Vinnie is missing, and he and Alex set off to find him. A steady stream of terror and captures and escapes follow. The background to all of this is the relationship Alex and Vinnie have, and Alex’s relationship to the rest of the Indians. Very good. Way too many implausible choices by various characters. Lots of very dumb or cliche dialog. I've liked all the previous Alex McKnight novels, but this one is lame. As a fan of the mystery/suspense genre I've read the entire Alex McKnight series and have enjoyed each novel. I was really looking forward to this outing but I was just plain disappointed. I'm not even sure i can say what was missing. I'm not a literary critic but I know what I like and it just wasn't there this time.There was none of the edge of your seat suspense or the early hook that grabbed your interest that was so characteristic of Hamilton's previous McKnight novels. The characters didnt seem as likeable as before. Alex was.... boring. I actually found myself wondering "Are we there yet?" End it already... and when it did (finally!) conclude, it was with a whimper and a feeble attempt at a surprise twist that fell flat. I'm hoping the next book is better. I like Mr. Hamilton and his Alex McKnight but in retrospect I wish I'd saved this credit for something else. I have listened to 9 in a row. On to the last one. will be disappointed when they are over! 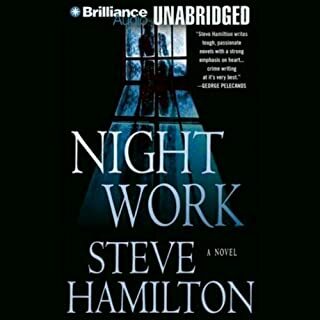 I have always enjoyed the Alex McKnight series by Steve Hamilton. Although not one of the best installments, "Die A Stranger" is still a worthy entry for this series. This book starts off slow, but I became fairly engrossed by the middle chapters. Dan Miller does a good job at narration, and this novel spends more time exploring personal relationships and histories, compared to some of Hamilton's earlier books. I would definitely recommend this novel for true followers of the series. If you have not yet read an Alex McKnight book, I would first recommend "Misery Bay" (the best book of this series). That said, they are all good. Not the best of the McNight's mysteries, but the skill of its author and the wonderful reader make it a pleasant experience nonetheless. 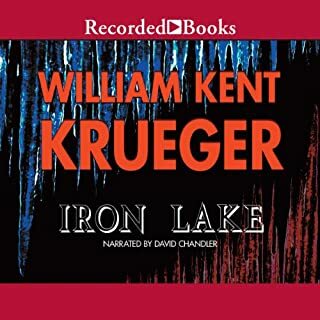 The good news--Dan John Miller is the narrator, who narrated most of the previous books in the series and does such a great job capturing the unique voices. The story is a little weak, but I still enjoyed revisiting these characters. If you enjoyed the previous books, you'll probably like this one well enough. It's a pleasant listen, but not the best in the series.